Being on the road can be a liberating feeling if you’re going on a road trip. But when you’re on the road all the time, it’s difficult to stay in touch with your employer. As a consequence, a lot of professional drivers can feel isolated and cut off from the company. You need to talk with the HR team about the possibilities to improve your connection to the business, even if you’re a remote asset. For instance, improving internal communication through by keeping you in the loop – via SMS when you’re driving for example – can help you to share ideas and feel involved at every step of the decision. You’re a professional driver, but the truck you drive belongs to your company. Therefore, the maintenance of the vehicle is the responsibility of your employer. You need to keep track of servicing and repairs to make sure that the vehicle you’re operating is safe on the road. 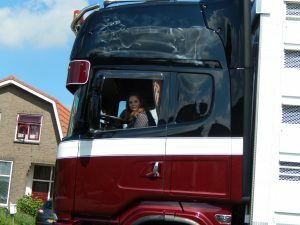 Indeed, if you’re dealing with an accident that has been caused by a mechanical fault of your truck, you can refer authorities to your employer for further investigations. Additionally, accidents caused by extreme tiredness – due to poor time management – can be equally tied to you or your employer. Loneliness is the main enemy of truck drivers. When you spend a lot of time away from your family, it can be tricky to cope. That’s precisely why up to 20% of drivers struggle with depression. Human contact can become rare when you’re always behind the steering wheel. The job crushes your chances to see your partner, parents, children, friends and other relatives. Sitting all day and night is unhealthy. When you work in an office, you can take regular breaks to walk around and reduce your risk factor. But when you’re driving, you can’t exactly stop the vehicle every 30 minutes for a stroll. Research has revealed a direct connection between the time you spent in a sitting position and your risk of early mortality. To put it in simple terms, even if you don’t have any accident, your driving job could still kill you. Is driving professionally a career you could embrace? Ultimately, driving comes with a high risk of accidents and mortality. You can reduce these risks by making your employer responsible for the vehicle and your health.